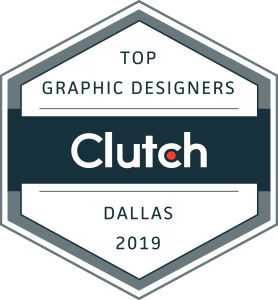 Clutch, a B2B ratings and review firm based in Washington, D.C., has named SullivanPerkins “the #1 company in Dallas” under the heading “creative and design.” Number 1? Unfortunately, SullivanPerkins has no monopoly on design skills in Dallas, as there are many excellent firms, but we’ll accept the compliment anyway, which was based in part on client reviews submitted on the Clutch site. The review firm’s sister site, The Manifest, named us among the top web developers in Dallas as well.